You are here: Home / Articles / Video Library / Videos by State / Florida / What If I'm Injured On a Cruise Ship? When a person is injured on a cruise ship, they typically only have a very short period of time to put the cruise line on notice of a potential claim. In this video, a Miami attorney explains what to do if you’ve been hurt on a cruise ship. 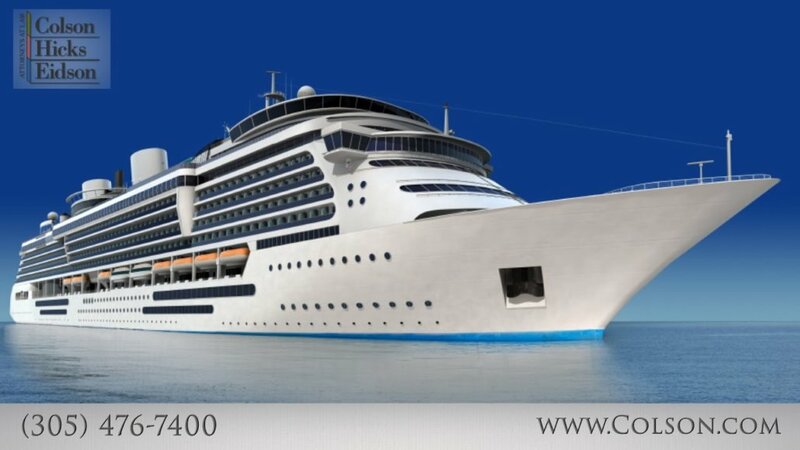 Many cruise companies have headquarters in Miami, and that’s usually the place where a person would have to file suit. https://cdn.askthelawyers.com/wp-content/uploads/2017/11/28092312/what-if-im-injured-on-a-cruise-s.jpg 720 1280 AskTheLawyers™ https://www.askthelawyers.com/wp-content/uploads/2018/05/Asset-2-300x40.png AskTheLawyers™2017-07-31 12:04:032018-01-04 10:05:40What If I'm Injured On a Cruise Ship? Harmed by a Prescription Drug or Over the Counter Medication? Why are Cars With Takata Airbags Being Recalled?